Avian Influenza, or Bird flu, is an infectious virus that affects many species of birds, including chickens, ducks, turkeys and geese. There have been a number of outbreaks around the World including here in the UK. This page intends to offer basic advice to backyard poultry keepers and will be updated regularly to track outbreaks of bird flu in the UK. Bird flu affects birds, including backyard poultry and can be passed on to our flocks or commercially farmed birds from migrating wild birds. It spreads relatively easily so when an outbreak is identified, restrictions are put in place around the location of the outbreak, birds are usually culled and the premises disinfected. There are a number of different strains of bird flu and fortunately most of them cannot be passed on to people, although there have been a couple of strains in recent years that have been a concern. Many people have become infected around the world and there have been several hundred deaths from a couple of strains. 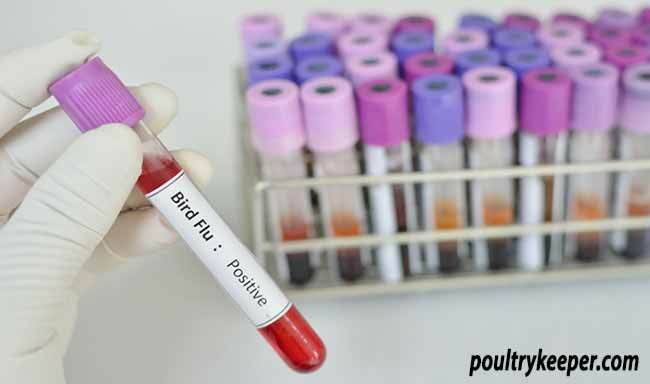 H5N1 and H7N9 are the main concern if you have come into contact with infected birds. These viruses do not transmit easily from person to person – very close contact with infected birds is usually required. Cooked poultry isn’t a risk. So far, nobody has been infected with bird flu in the UK. Symptoms are much the same as normal flu. Birds may be infected but do not show clinical signs of disease, so birds that look healthy can still be a risk to people coming into contact with them. There are two types of avian influenza, highly pathogenic and low pathogenic. Highly pathogenic is the most serious and for most birds, will be fatal. Low pathogenic bird flu is normally less serious and can show up as birds having mild respiratory problems or there may be no clinical signs at all. Bird flu is a notifiable disease (the only other one that affects poultry is Newcastle Disease) so suspected cases should be reported to the Animal and Plant Health Agency. It is advisable to do this if you find more than one dead bird or are suspicious of an outbreak. What is likely to happen if there’s an outbreak? If there is an outbreak of bird flu at a farm near you, DEFRA will visit to take samples and confirm the strain of the virus. Birds that test positive for the virus would have to be put to sleep and the farm disinfected. Within the local area, a restriction on the movement of poultry is likely to be set up and DEFRA would check for disease locally. You would probably need to keep any birds you have indoors so they cannot come into contact with wild birds. The low pathogenic H7N7 strain was confirmed at a farm. Birds were slaughtered and the farm was disinfected. Restrictions have now been lifted. The low pathogenic H7N7 strain was confirmed at a broiler breeder chicken farm in Hampshire. There were restrictions put in place around the farm while birds were culled and the buildings disinfected. The highly pathogenic H5N8 strain of bird flu was confirmed at a farm in Yorkshire where they were breeding ducks. H5N8 has never infected humans. The highly pathogenic H5N1 strain last appeared in the UK in 2008. Lets hope it stays that way. There is more information on Bird Flu in this article written by poultry vet Richard Jackson.